CRIME, GUNS, AND VIDEOTAPE: McDonald's Must Change Radically or Die! McDonald's Must Change Radically or Die! Oak Brook, IL--This Chicago suburb is the long time home of McDonald's headquarters. The market share of this fast food icon has been slipping into the Abyss for the last decade. Their schemes like 24 hour breakfast has done little. Adding a few un-exciting menu items hasn't worked very well either. I have the cure. It's incredibly simple but I think corporate arrogance has prevented this kind of necessary menu reform. McDonalds and burgers were matched from Ray Krock's grand idea. This is six decades later and times and tastes have changed. Frankly we need more choices today. Rival fast food enterprise Burger King is not without similar problems and they just announced they are adding hot dogs. The pictures of their new offerings make it clear they don't have a clue of how to do dogs! Ketchup on hotdogs is not fit for human consumption! Yes, that's what they're offering? Yuck! The big three hotdogs in America are Vienna, Nathan's and Best. McDonalds should work with any of those but let me say I'm really partial to Vienna. 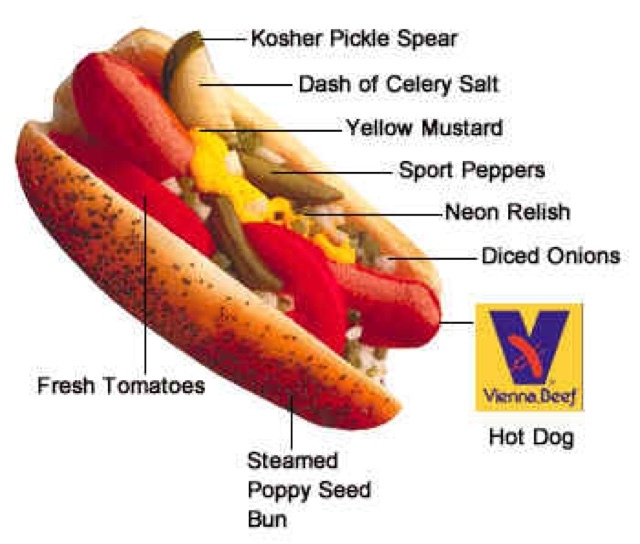 Vienna will teach McDonald's about the simple Chicago dog because there's none better! Steamed dogs on a bun with the right stuff would up McDonald's market share by 30% across the board. Screwing with the Vienna formula would be suicide. This would bring me back to the Golden Arches in a flash. Burger Kings offering won't do anything but fail. Perhaps McDonald's can learn something from Portillo's another Chicago success story. Portillo's is always filled to capacity unlike McDonalds or Burger King. The two burger giants are past their prime and have lost their luster. It's time to change or fold up the tent and go home. My Review of the Jessie Owens Biopic Film, RACE. We Must Kill All The TV News Anchors!